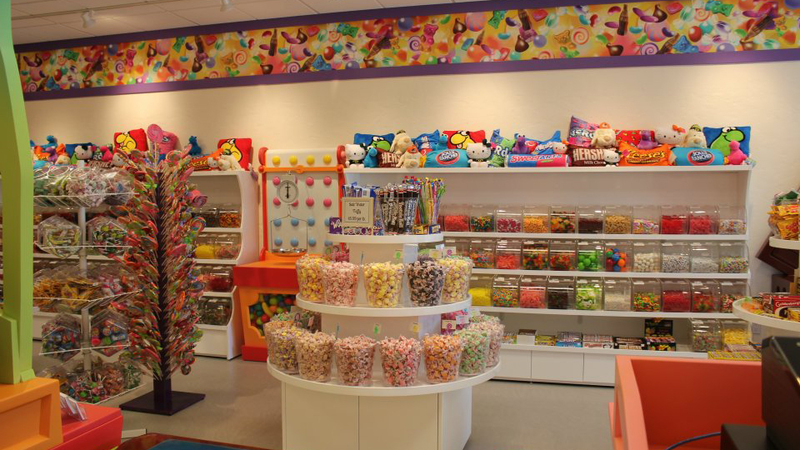 Sweet Tooth Candy Shoppe in the Old Mill District is a magical, imaginative candy store designed to be a fun and memorable experience for kids of ages, with more than 350 varieties of bulk candy, chocolate, saltwater taffy, retro and novelty candy, lollipops and old-fashioned candy sticks, Japanese candy and soda (Ramune), as well as Hello Kitty candy and plush. Locally owned and operated, they offer exceptional customer service not generally found in the chain stores or franchises. With fill-it-yourself gift containers you can put together that special birthday, baby, thank you, or any occasion assortment, as well as pick up a gift certificate. They also offer a Sweet Tooth Rewards Card where you can receive one stamp on your card for every $5 you spend in the store, giving you $5 off your next purchase once your card is filled. Open Monday – Saturday 10:00 a.m. – 8:00 p.m. and Sunday 11:00 a.m. – 6:00 p.m.